It is essential in today’s day and age to find and hire a Digital marketing agency in Mumbai at some point in your business life. 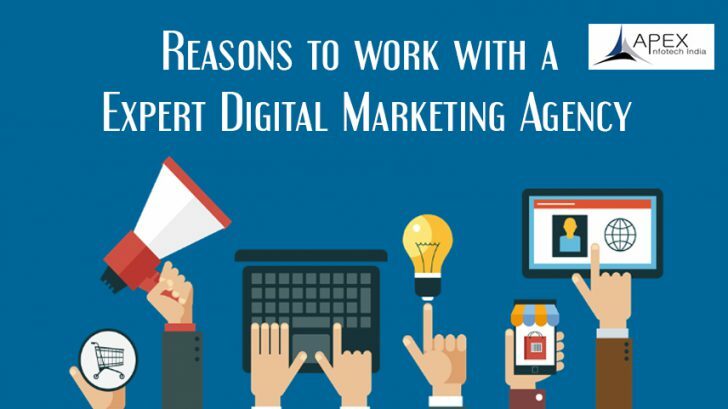 You cannot ignore the opportunities a digital marketing agency has to offer: website updates, social media interactions, blogs, and much more even PPC advertising services are offered by online marketing companies A modern digital marketing agency can help your business greatly. It can help your business be very successful online gaining numerous leads and qualified customers, building traffic and saving you time and money in the long run. Just how would you select the right Online marketing and PPC advertising service? Is it really worth it? A few pointers are:-The digital marketing agency should be an AdWords partner of repute. Look at their landing page. What is your first impression? An online marketing company/agency with a modern and up-to-date website makes a good impression. It says they are going to do a good job as an online marketing firm and know the business well. The site should not look old, be difficult to navigate through, should be attractive. It speaks words of how your site will look if you give them your contract. If they are using efficient SEO practices then the results would show in Google searches. Do they have smart team management? An adept digital marketing agency will use diverse talent and expertise and would let you know of their talent and potential. A team that is multi-disciplined with experts such as designers, developers, SEO analysts, content strategists, social media specialists, brand development managers helps indicates the value and good choice of online marketing agency and their PPC advertising service. Do they have expertise and knowledge of modern tools? A reputed digital marketing agency has proven ways: What they use for project management, their teams use to measure website performance and SEO analytics as well. The use and practices of Inbound marketing, social media, email marketing etc. The online marketing agency should be comfortable with modern day tools. Are they transparent and are they clear? If they are not clear in work offered then they are a risk. You should get what a PPC advertising service and online marketing agency offers as you are paying for it! The digital marketing agency should be transparent – this is where most fail. You should communicate and be able to get key deadlines, expenditure, progress reports and convey your thoughts and needs clearly and freely. The best relationship between businesses communication that is open and all understand their responsibilities, goals, and strategies. The selected digital marketing agency will work with your team for some time; if it lasts long in terms of your relationship with them. Look if the team has extra-curricular interests on their website? Do they look like they are enjoying work? Is their work culture and ideals compatible? This will all lead to remarkable results if it matches with your needs. These are some points to look for in a PPC advertising and digital marketing service. You want your online presence to be in the best capable hands and you should thus always demand the best!